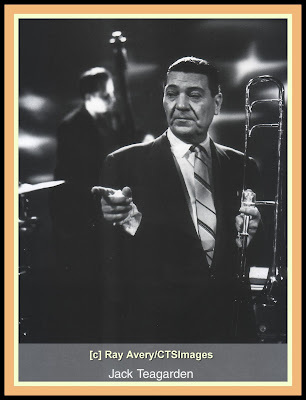 With this feature, the editorial staff at JazzProfiles begins "Trombone Week," a kind of a mini-retrospective featuring seven pieces that previously posted to the blog which examine the careers and music of some of the principal Jazz trombonists. 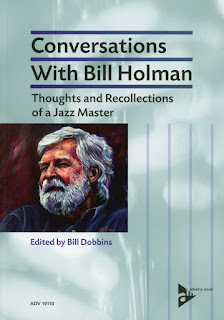 There are times when I enjoy just hearing the music while visualizing it through the use of “videos” developed with the help of the world-class graphics team at CerraJazz LTD.
As I’ve noted before on these pages, there is a limit to how effectively writing about Jazz conveys what’s going on in the music. 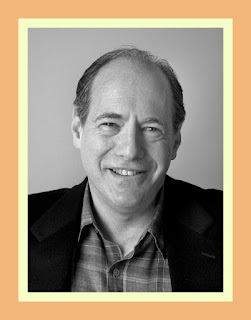 And, although it is inherent in the nature of blogging, it’s difficult to write about Jazz all the time. When I’m feeling this way, I find solace in listening to and “looking at” Jazz. 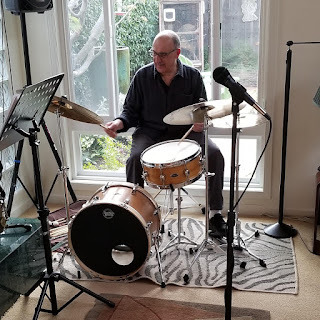 From time-to-time, then, I stop, collect a bunch of photos, album covers and graphics, add an audio track of splendid Jazz, and sit back and savor it all. 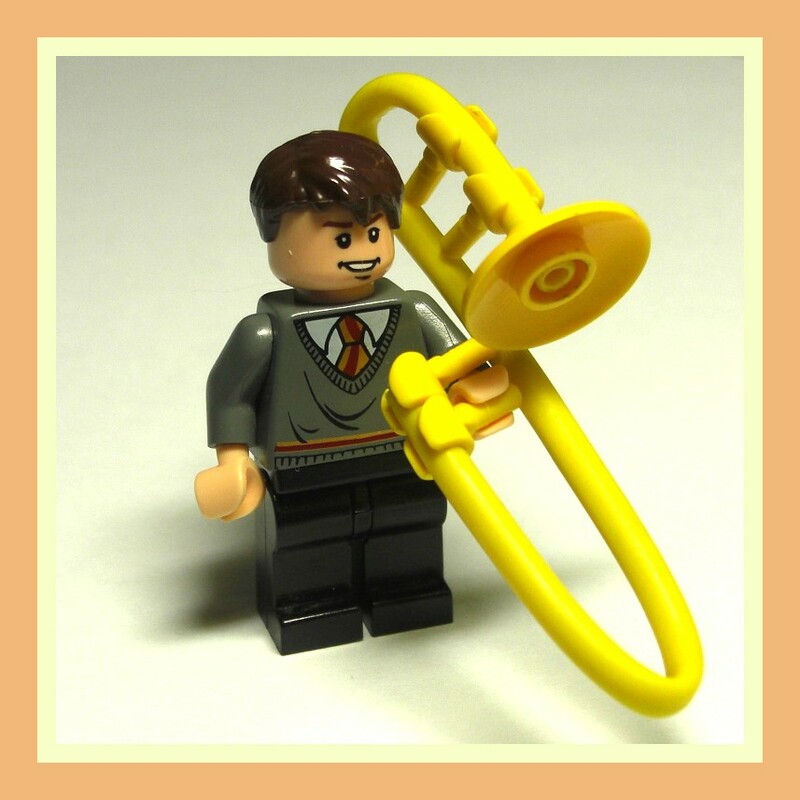 “The trombone is the only instrument in the Western music tradition that is virtually unchanged in its basic construc­tion (shape and size) and technical function since its first appearance in the late fifteenth century. All other instru­ments—whether the violin, the organ, or even the trum­pet—have experienced important changes or physical additions (such as valves on trumpets). 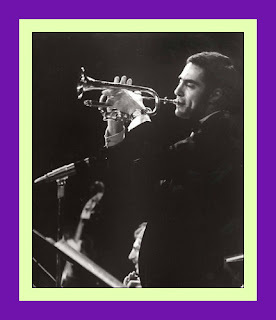 Although a valve trombone was developed eventually in the early nineteenth century, it never replaced in clas­sical music or in jazz the so-called slide trombone, the instrument with which this article will be primarily concerned. Thus, given the trombone's stable and venerable history, it is some­what ironic that it was originally developed as an offshoot of the Renaissance slide trumpet, in use in late medieval music, extending the brass family's registral range to the tenor and baritone regions. Moreover, from its very beginnings the trombone, with its inherent agility of movement and potential freedom from fixed pitches (a lim­itation, for example, for valved or keyed instruments), was considered no less versatile than a violin or cornetto. This goes a long way toward explaining the instrument's central and consistent place in the music literature of the last five hundred years. This intrinsic versatility also accounts for the prominent role the trombone has played in jazz from its inception and even in its pre­history, rivaled only by the trumpet and possibly the clarinet. Late nineteenth-century ragtime ensembles, the concert bands prevalent all over the United States and the Americas, and especially the brass and parade bands so popular in New Orleans around the turn of the century all featured the trombone in a variety of musical functions, ranging from soloistic to accompanimental, from individual to ensem­ble roles. 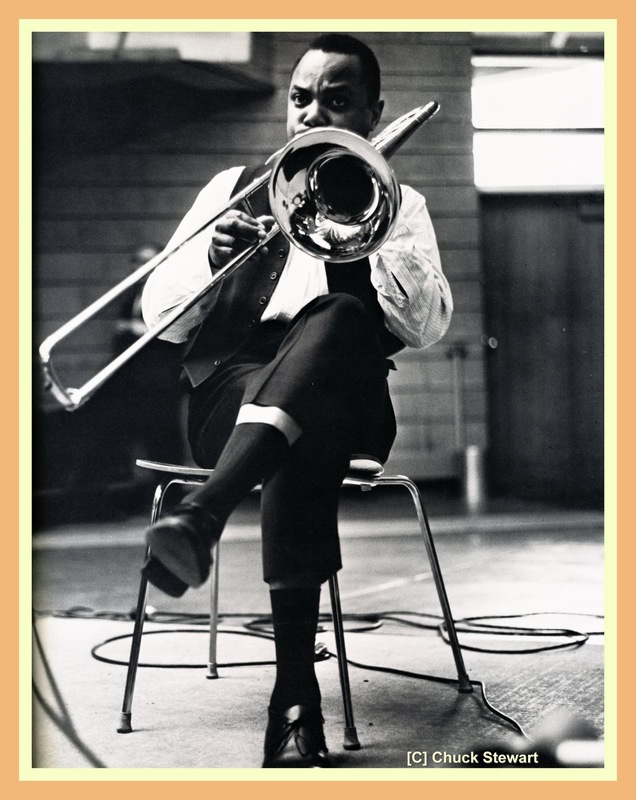 Thus it cannot come as a surprise that in the earliest man­ifestation of jazz (i.e., the New Orleans collective ensemble style) the trombone was a preeminent, indispensable member of the so-called three-instrument front line: cornet (or trumpet), clarinet, and trom­bone. In that typical formation the three instruments were assigned quite specific roles, with the trombone providing commentary asides, countermelodies, and harmonic fill-ins to the main tune played by the cornet and the clarinet's high-register obbligatos, in general pro­viding a link between the melodic/thematic material and the rhythm section, even occasionally and intermittently participating in both ar­eas. Much of the earliest "jazz" in the first two decades of the cen­tury—before it had even acquired the name jazz and before the advent of jazz recordings in 1917—was played outdoors, at picnics, church functions, fraternity dances, or funeral processions and on ad­vertising wagons, with the trombonist usually positioned at the back of the wagon so that he could freely manipulate his five-foot-long slide. This type of playing acquired the name tailgate. 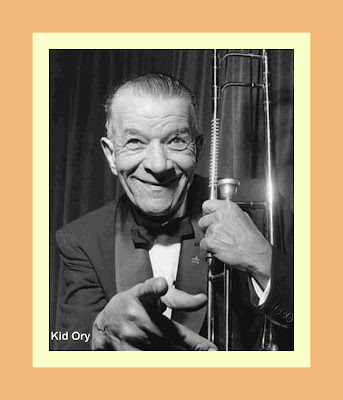 It featured a copious use of glissandos, a sliding effect endemic to the slide trom­bone and not particularity practical on other wind instruments; it later became an overused cliché in Dixieland bands and the 1940s New Orleans revival. In the earliest decades of the century, the musician who contrib­uted most to the evolution of the trombone in jazz was Kid Ory. 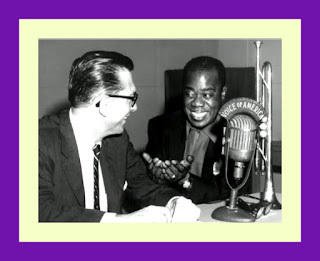 An early specialist in the tailgate style, he developed stylistically along with the advances in jazz in the 1920s, working effectively with such jazz greats as Louis Armstrong (Hot Five) and Jelly Roll Morton (Red Hot Peppers). 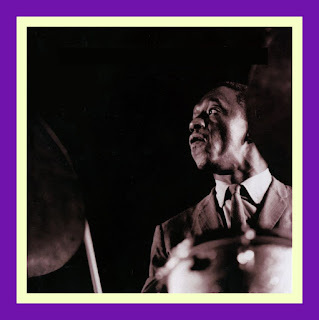 A fine example of his playing can be heard on "Ory's Creole Trombone/Society Blues," recorded in 1922 in Los Angeles as Ory's Sunshine Orchestra (incidentally the first black New Orleans-style jazz band to be recorded). 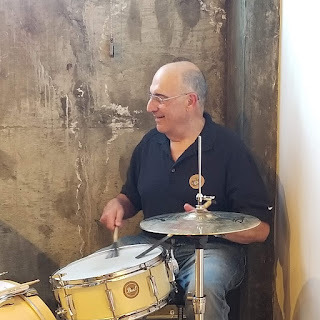 … [Many of the earliest Jazz] musicians were essentially self-taught and initially non- or semiprofessional, playing in simple, relatively crude personal styles. 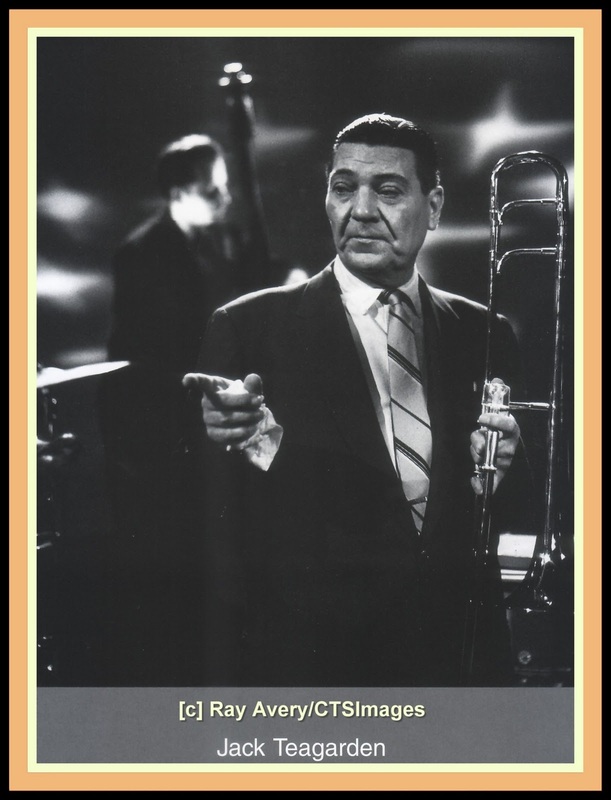 But under the influence of a number of dramatic developments in jazz in the 1920s, musicians—trombonists, of course, included—be­gan to rise to new challenges. 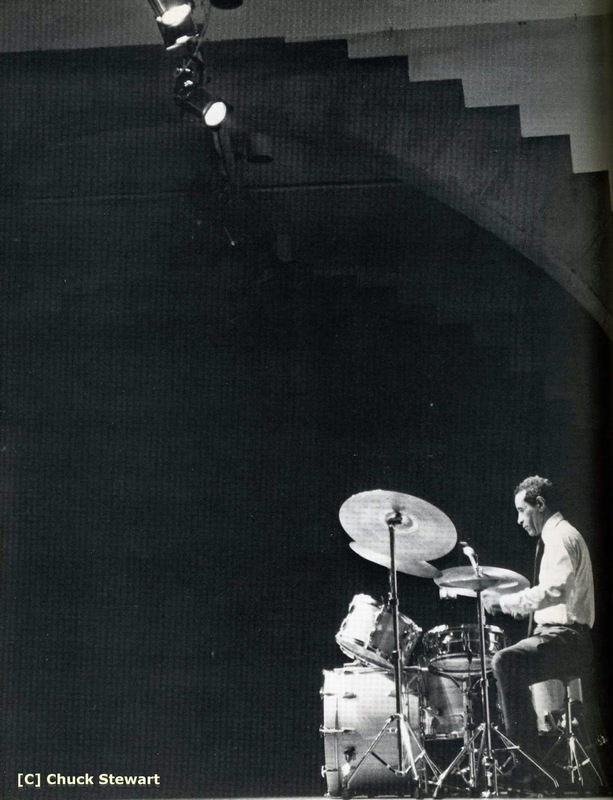 It was during the early 1920s that jazz developed into the major dance and entertainment music of the coun­try and became a viable profession in music (even for blacks); the initial small groups in jazz (quintets, sextets, septets) expanded to ten-and twelve-piece orchestras; composers and arrangers gradually cre­ated even more sophisticated performance demands (both in terms of solo improvisations and ensemble work); and, even more compelling, major innovative virtuosos, such as trumpeters Armstrong, King Ol­iver, and Jabbo Smith and trombonists Jack Teagarden and Miff Mole, challenged the whole field to reach out to new technical and creative heights…. Another remarkable trombone section, totally different from El­lington's was that of Stan Kenton's orchestra. 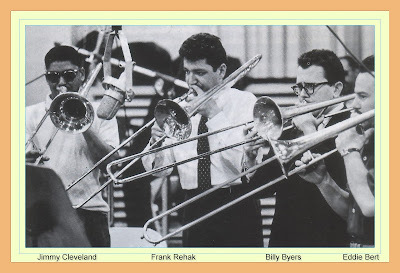 Beginning in the mid-19408, its style initiated and set by Kai Winding, it revolutionized trombone playing stylistically, especially in terms of sound (brassier, more prominent in the ensemble) and type of vibrato (slower, and mostly lack thereof), as well as by adding the "new sound" of a bass trombone (Bart Varsalona, later George Roberts). 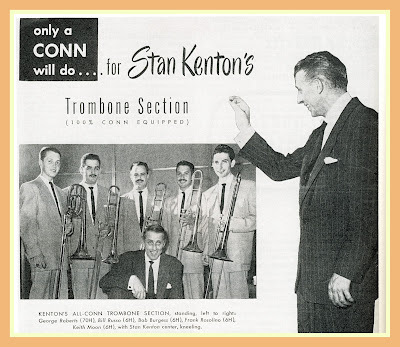 The Kenton trom­bone section's influence was enormous and pervasive, and continues to this day. Although the section's personnel changed often over the decades, it retained an astonishing stylistic consistency, not only be­cause such stalwarts as Milt Bernhart and Bob Fitzpatrick held long tenures in the orchestra, but because incoming players, such as Bob Burgess and Frank Rosolino and a host of others, were expected to fit into the by-then-famous Kenton brass sound.